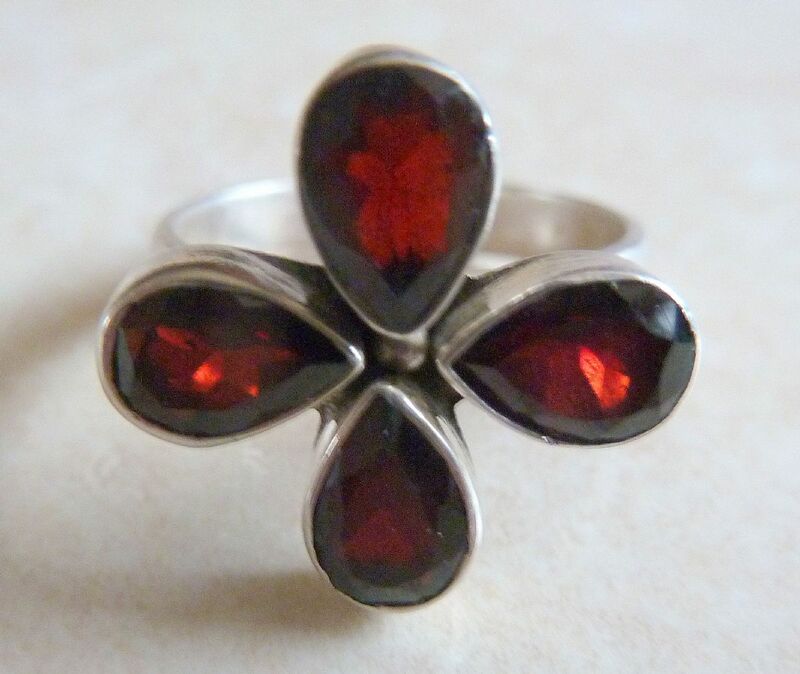 Sterling silver ring, featuring four large pear cut garnets. Four centrally set pear cut garnets. A stunning modern piece from the late 90's. Double Row Freshwater Pearl And Garnet Bead Bracelet. Double row, freshwater pearl and garnet beaded long length bracelet.